Consuming alcohol mixed with energy drinks (AmED) is thought to increase risk-taking compared to when alcohol is consumed alone. To date, there have only been two controlled experimental studies testing this hypothesis, showing similar performance outcomes after AmED versus alcohol. To date, there has been no research: (i) exploring behavioural outcomes across the breath alcohol concentration (BrAC) curve, (ii) adopting naturalistic behavioural measures, or (iii) administering energy drink (ED) doses similar to those ingested in real-world AmED sessions. Consequently, the aim of the present study was to determine the effects of AmED (500 mL and 750 mL ED) versus alcohol on risk-taking behaviour during a driving simulator task completed on ascending and descending BrAC limbs. 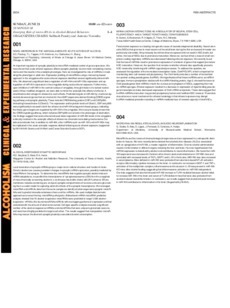 Using a single-blind, placebo-controlled, crossover design, 19 participants completed four sessions where they received: (i) placebo alcohol and placebo ED (placebo), (ii) active alcohol and placebo ED (alcohol), (iii) active alcohol and 500 mL ED (AmED 500 mL), and (iii) active alcohol and 750 mL ED (AmED 750 mL). Outcomes were assessed at 0.050%ascending target BrAC, 0.080% target BrAC, and 0.050%descending target BrAC. After controlling for differences in BrAC, participants reported increased willingness to drive (Hedges’ g = 0.62–78) and reduced risk-taking on select indices, including speeding (g = 0.40–0.60) and centreline crossings (g = 0.40–0.91), after AmED 500 mL and 750 mL versus alcohol at 0.050%ascending and 0.080% target BrAC. In contrast, risk-taking during an overtaking manoeuver was increased at these time points after AmED 500 mL compared to alcohol (g = 0.45–0.62). Average speed at minimum distance and percentage of time out of lane were similar after AmED versus alcohol. These findings suggest differential effects of AmED versus alcohol on risk-taking dependent on the measure adopted, with indications that AmED consumptionmay adversely affect perception of safety in the decision to drive. Future research assessing risk-taking post-consumption in real-world settings is strongly recommended, as well as examination of the potential complex interplay between pharmacological, psychological and personality factors in determining AmED risk-taking outcomes.